Also known as the Cuban ground iguana or the Cuban iguana, the Cuban rock iguana is a species of lizard. It is actually the largest West Indian rock iguana, and is unfortunately also one of the most endangered groups of lizards that currently exist. 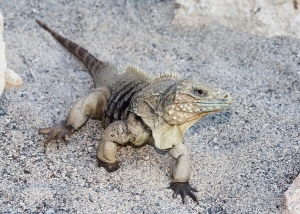 The Cuban rock iguana is found throughout mainland Cuba’s rocky southern coastal areas, Puerto Rico, and the Cayman Islands. This large, spiky lizard is categorised as being ‘threatened’ by the IUCN. This is because females will guard their nest sites which are unfortunately excavated by Cuban crocodiles. 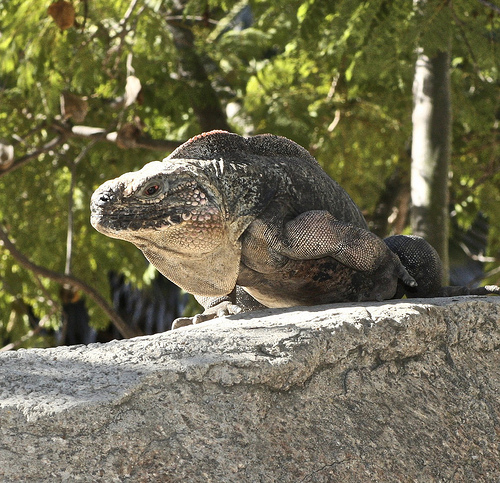 In order to defend the nest, the Cuban iguana will make its home near prickly-pear cacti. Other reasons for its population decline include the predation of these creatures by feral animals, as well as the loss of habitat due to human agricultural development. This large lizard has an average body length of 18 inches or 46 centimetres. However, when measured from snout to the tip of its tail, the Cuban rock iguana can reach a length of up to 1.6 metres or 5.2 feet. These measurements have been recorded within GTMO – the Guantanamo Bay Naval Base in Cuba. The Cuban rock iguana is sexually dimorphic, which means that males are larger than females. The skin of male Cuban rock iguanas range from brick red to dark grey, while females are olive green in colour with dark stripes. Their limbs for both genders are black and have pale brown oval spots. Juveniles are usually a dark brown or green, and both genders have a dewlap which is skin that hangs below the neck. They also have a row of spines that run down their back towards their tail. Cuban rock iguanas also have powerful jaw muscles. The eyes of the Cuban rock iguana are gold and red – as in it has a golden iris, and a red sclera. 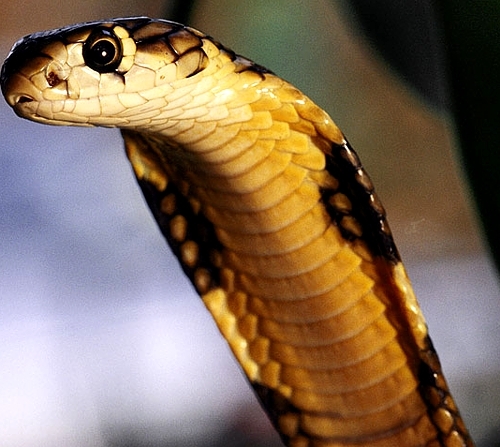 They have fantastic vision and can detect movement and shapes at long distances. They have a sharp colour vision which enables the Cuban rock iguana to see ultraviolet wavelengths as they can optimise their production of vitamin D. They have poor low light vision though, as they do not have many photoreceptor cells. They do have a parietal eye which is a white photo sensory organ which is located at the top of their heads. The Cuban rock iguana is usually herbivorous. 95% of its diet comprises of fruits, flowers, and leaves such as the black mangrove, thistle, prickly pear, olives, red mangrove, and grasses. They will also sometimes eat animal matter such as the corpses of crabs, fish, and birds.